The next generation LF-FC luxury concept car stormed the 2015 Tokyo Motor Show; it was the unveiling of a truly visionary new luxury saloon. It’s an exciting glimpse into the future. 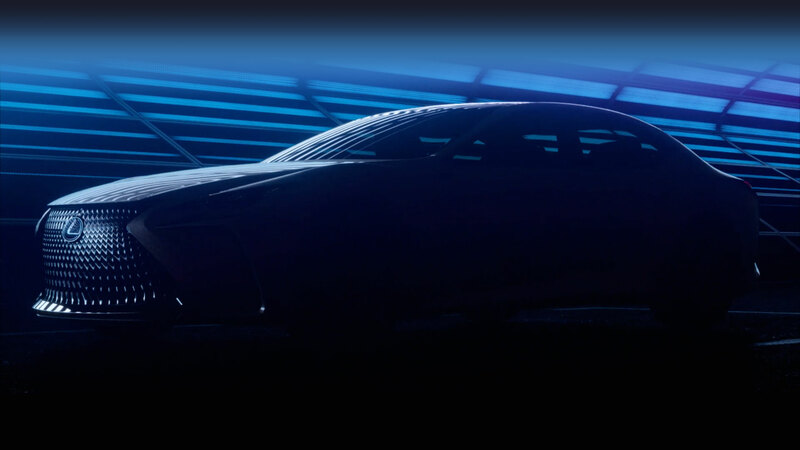 The first ever fuel-cell concept. The LF-FC is a stunning, yet effortlessly elegant 4-door coupe, powered by a pioneering all-wheel-drive system. The LF-FC isn’t simply a design exercise, it’s designed to reframe your expectations. The LF-FC’s exterior styling embodies the Lexus L-finesse design philosophy; seamless simplicity and elegance. The distinctive signature grille with a new mesh design dominates, while the floating L-shaped daytime running lights (DRL) punctuate the vehicle’s flowing curves. You’ll find the same floating theme all round the LF-FC with its striking new three-pronged tail-lights. When you see the full profile of this unique concept car, you begin to appreciate its radical styling. Only then is the LF-FC’s true character revealed. A flowing roofline from front to rear, the LF-FC is designed to eat up straight roads, but also thoroughly enjoyable on more challenging, winding routes. Its 21-inch aluminium wheels with carbon-fibre reinforced plastic rims add an extra element of flair to an already dynamically styled machine. Enter a futuristic world of intuitive technology and luxury. 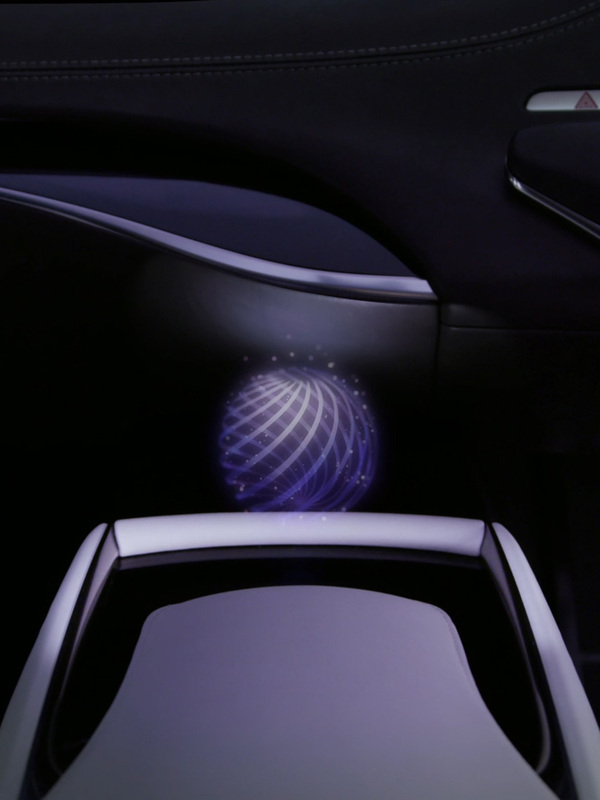 As you take your seat, you're greeted by an unobtrusive holographic projection hovering above the centre console. Touchless technology comes to life with simple hand gestures controlling the LF-FC's self-driving functions, infotainment and cabin climate. The cabin is designed in two sections; the top half conveys a sense of openness, allowing the driver to concentrate on the road ahead without feeling constrained. Seen at eye level, the aniline leather front seats seem to be floating in a seamless formation with the doors and dashboard. A hydrogen fuel-cell system powers this all-wheel-drive concept, allowing precise torque distribution control between the front and rear wheels. Optimal weight distribution for the LC-FC is achieved by placing the fuel-cells at the rear of the vehicle, the control unit at the front, and positioning the hydrogen fuel tanks in T-formation. Automated driving technologies with elevated traffic environment recognition, prediction, and judgment functions provide a safe and efficient driving experience - we are on our way to creating a world where there are no traffic collisions.